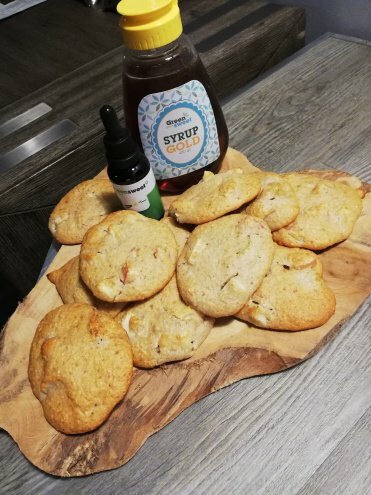 A delicious recipe from Tiffany from TiffsKitchen in which she has processed Greensweet Syrup Gold and greensweet liquid stevia vanilla. Make heaps of the batter on a baking sheet covered with parchment paper. Put the baking sheet in the preheated oven for 15 to 20 minutes. Let the cakes cool down and they are ready. You can store them in an airtight drum for about 3-4 days.